Goodbye Roatan - We got Certified! 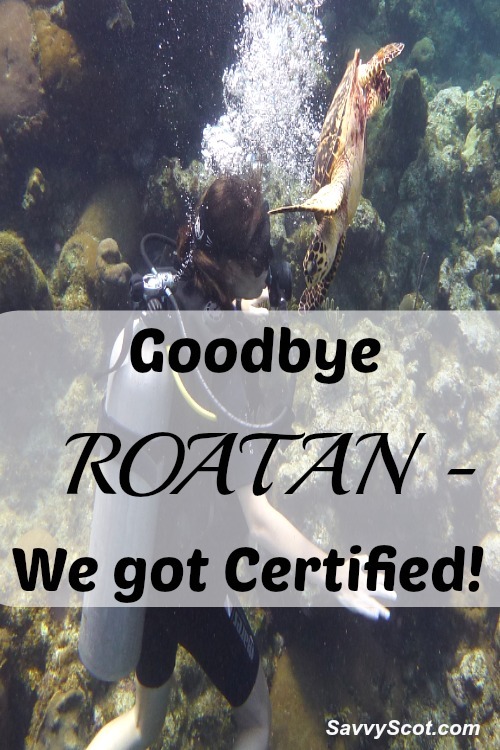 Goodbye Roatan – We got Certified! Dammmnnn 26 hours of travel?! That sounds like a brutal day and then you have to deal with jetlag after. I’m sure it is well worth it from hearing your stories and seeing the awesome photos. I did the 26 hour travel in and out of Roatan the first time I went! Last time I did 11 one way and 14 going home…so much better! Congrats on getting certified! EM @ Cubicle Throwdown recently posted..If something should go wrong.